The team at Berowra Living History is fortunate to have the opportunity to hear about (and often also read) people’s memories of living, working and growing up in Berowra. Our community, not just those living here now, but those who have moved on to other homes and communities, have wonderful memories which we love to share. 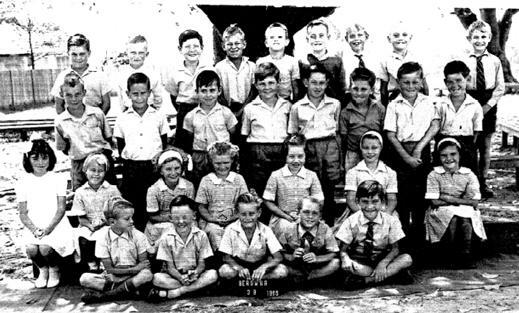 The account below comes from Cheryl Jepson, who lived in Berowra in the 1950s and 1960s. I lived in 10 Rawson Rd, which was a dirt road at that time, with my parents, sister Lynne and baby brother Stewart. Dad built a shack down the end of the road in the bush in the 1950’s. Mum did the washing in the caves where there were beautiful rock pools and waterfalls, all of which emptied into Bakers Pond. At that stage we didn’t have electricity. My best friend Ann Richards, my sister and I were always playing in the gully all day and would return home filthy, bare-footed and scratched. Wild blackberries were abundant and we certainly helped ourselves to these fruits. There were old trams down the track which we played in – there would have been snakes everywhere. Mum didn’t know where we were half the time. We were always carving our names in some of the trees. Down the track we found suitcases with clothes and shoes within. I think people used that area for a dumping ground. We of course used the old clothes in our cubby house. In Rawson Rd there was a very small fibro shack on the right-hand side. (Next to the old chook farm buildings, which later burned down). There were pots of paint within the shack which we used to splash everywhere. The bamboo grew to gigantic heights and we used these to play in, also in Rawson Rd. 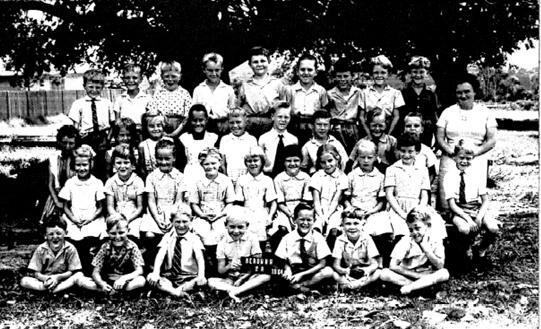 We had a great life and memories growing up as children in Berowra in the bush. In 1961 I was in kindergarten and the teachers name I remember was Miss Smith. The children had to have a sleep after lunch. She used to have a tray of ‘Smiths’ chips to share with the students. 1962 was transition for 1st Class. I remember we had a social and my mother made me an outfit, created from white crepe paper. We were made up to look like cats and danced to the music of the ‘Pink Panther’. In 1963 my teacher was Miss Douglas and I was 7 years old. (I don’t have a photo of that year). At assembly we had to sing “God Save The Queen”. We were forced to drink 1/3 pint bottles of milk in glass bottles with the silver tops. The milk was in crates, placed in the assembly area which unfortunately was also in the sun; therefore the milk was hot and I didn’t like to drink it. The tree behind the school photos was a great climbing tree and all the children used it for that purpose. My sister Lynne and I always walked to school, regardless of the weather. I can’t remember how far but was quite a distance for a youngster. Do you have memories you would like to share? We would love to hear from you, and include your recollections and images in our archives and upcoming exhibitions.